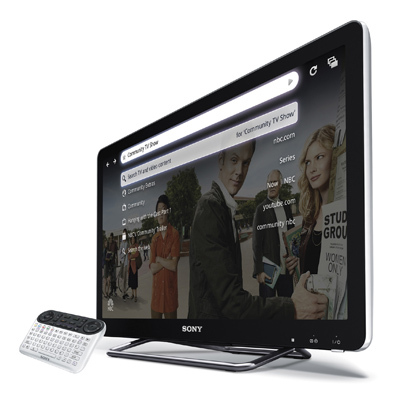 Built on the Android platform, Sony has announced several Internet TV models powered by Google TV which will allow you to watch HDTV, use apps, and browse the Internet all at the same time. 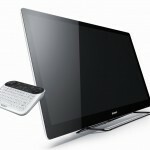 The new Wi-Fi enabled televisions range in price from $599 to $1399 and according to Sony will ship this month. Sony Internet TVs use Google Chrome to surf the internet, and apps such as CNBC, NBA, Netflix, and Twitter will be pre-loaded on the TVs. Sony’s “Video On Demand powered by Qriocity” will also be loaded up ready to stream movies and TV shows. 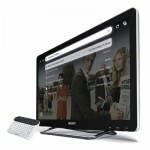 The Internet TVs also feature Dual View, allowing users to watch broadcast television while tweeting, checking fantasy football scores, or surfing the internet. Launching soon will be the ability to link select mobile phones to the TVs and download apps from the Android marketplace. “Finally, you can seamlessly search your favorite TV programs and web sites on the same screen, at the same time,” said Mike Abary, senior vice president of Sony’s Home Division. 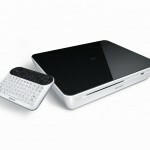 A Sony Internet TV Blu-ray Disc player was also announced to ship this month. Like the Internet TVs, the player has built-in Google TV, Wi-Fi, and Dual View capabilities, as well as a stylish design (see pics below). 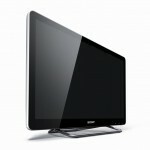 does the tv work through the internet too or separate feeds?